As far as lawn maintenance goes, spring (along with fall) is one of the best times to get your landscape taken care of. With warm days and cool nights, the Northern Virginia spring climate is optimal for installing new plantings and fixing up what’s already there. However, it’s important to be aware of which services are most important for spring lawn care as opposed to fall. The experts at O’Grady’s Landscape are here to help! Weed control – all types of grasses will benefit from weed control come spring time! Tackling weeds in early spring can help stop them in their tracks before they have a chance to fully develop later in the season. Lawn mowing – this is the time to start mowing! Your grass has likely been growing under a layer of snow this winter, and getting started with a regular lawn mowing routine can help rejuvenate it and improve curb appeal. Plant installation – many plants thrive when planted in the typical spring weather of Northern Virginia—60 to 70 degree days. Our landscapers can advise the best flowers, plants, and grasses to install during this season, as opposed to fall. Keep in mind, however, that the focus should be either on weed control OR new plant installation to achieve best results. 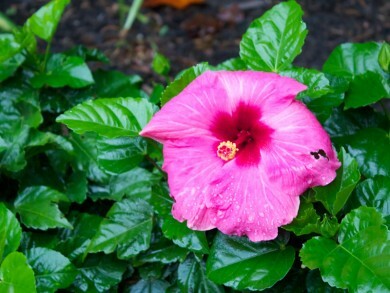 Fertilization – bringing nutrients to your plantings, spring fertilization helps to restore health after plantings have dried out during the winter. Our landscapers can recommend the best combination of spring lawn care services after an initial assessment of your property. We serve homeowners in the City of Falls Church, Great Falls, McLean, North Arlington, and Vienna. If you live in Northern Virginia and are interested in signing up for a spring lawn care package, or just signing on for a couple of key services, we can help. O’Grady’s Landscape has been providing maintenance to landscapes throughout the region since 1991—from the City of Falls Church to North Arlington to Vienna—and, we have the expertise to get the job done right. Let us take care of your landscape so that you won’t have to—call (703) 533-5001 to schedule service today!